The British Association of Nice is a benevolent organisation founded in 1957 to help newcomers settle into the city. 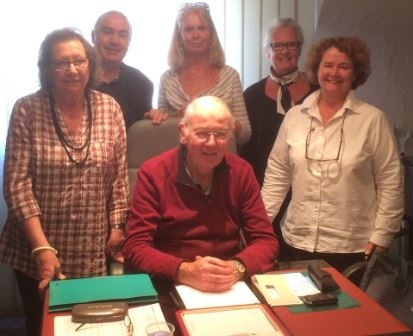 Along with its sister groups in Cannes and Menton, the British Association of Nice organises events for recent arrivals and visitors wishing to make friends, and also helps those in need with practical assistance or a listening ear. Simone Paissoni has chaired the association since April and is delighted to work with a committed and supportive team. “Thanks to my fantastic team, leading the BAN is great fun. There is a really positive buzz in the committee that I feel travels down the line. A network of volunteers organises events in Nice, such as a bi-weekly coffee morning, monthly lunches, cinema outings and day trip excursions. There are also French language classes to encourage English-speakers to integrate into French society and appreciate its rich culture. Apart from social support, the association also provides welfare assistance to Britons in Alpes-Maritimes that are vulnerable and in need of help. just giving a lift to an event. “You do not need to be a member of the BAN to receive help. Obviously we do not deal with simple formalities, we assist those in desperate need, like those overwhelmed with paperwork, or someone facing issues due to a serious language barrier,” Ms Paissoni said. Find out more about the association and events at www.britishassociationofnice.com and membership for the Nice branch is available to people of all nationalities over the age of 16 and costs €10 annually.